A busy week lies ahead for Proven Thoroughbreds with no less than 11 runners due to face the starter. We begin Saturday at Rosehill with the John Bateman-trained NICCONITA (pictured) in search of a deserved Highway win. The daughter of NICCONI has previously been placed five times in Highway races and can confirm a Country Championships campaign with victory on Saturday. Leading jockey Blake Shinn takes the ride. On the same day at Eagle Farm, the Steve O’Dea stable rolls out a trio of good chances. MASTERATI tackles the 1000m NMW Handicap from an ideal draw while consistent mares FRANCISCA and SORNJA make up a two-pronged attack on the 1200m C3. Stablemates WAS IT WORTH IT and TOO HOT TO HOLD round out Saturday’s runners, contesting the 1800m C3 and 1200m C1 at the Gold Coast respectively. Sunday sees another O’Dea trainee step out into competition – MISSED THE ALARM. The three-year-old filly is due to have her third career start over a suitable trip of 1600m at the Sunshine Coast. Then at Ipswich on Wednesday, the in-form SIENNA ROSE will be shooting for her fourth win in the 1350m BM65. The daughter of MORE THAN READY looks ideally placed with 56kg and has finished in the quinella at her last four outings. Further south, LAMINGTON DRIVE looks to convert a pair of a placings into a win at his third career start at Ararat’s midweek card for trainer Archie Alexander. 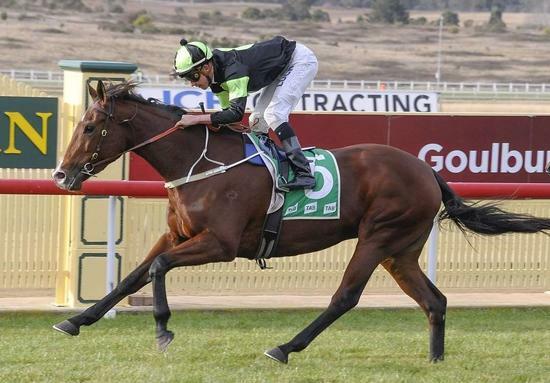 Our lucky last runner for the week is THE BLACK TIDE from the O’Dea stable at Grafton on Thursday. The half-sister to SANTA ANA LANE has made a bright start to her career with a win and a second from two starts.